Today we are launching the public beta of our new Ratings and Reviews system and we are really looking forward to your feedback. Receiving and analyzing your product/service Ratings and Reviews captured on your website is often critical to the success of your organization. We are going to make this process even easier. We are happy to announce our new version of Ratings and Reviews that will help you generate word-of-mouth in a more interactive way. Our new system is ideal for mobile, and more engaging for your customers, but that’s not all. You can add custom questions to your product review process, which can result in more accurate responses, so you can better analyze your results. Each question type will create a more engaging experience for your customers regardless of the device they are on. We talk a lot about mobile optimization for Ratings and Reviews and why it is so important. More than 38% of our clients are now completing reviews on mobile devices. If for some reason you didn’t think mobile was important before - it’s time to think again. Throughout 2016 we made a lot of improvements to help you build your Ratings and Reviews system, and we are excited to announce this new version. Our set of prepackaged themes and styles make your Review and Q&A look beautiful. 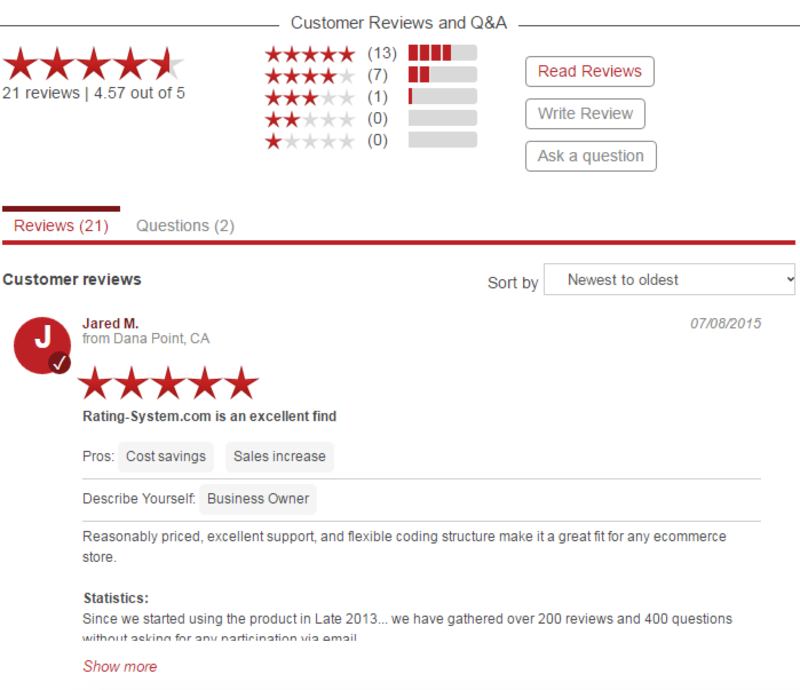 Besides giving reviews a great new look, the themes are also "Responsive". Responsive is a design approach to developing websites that allow your webpages to automatically adjust to fit on different size devices. This means it will look great no matter where your customers view them—be it a phone, tablet, or computer. You can find new integration code under the Setup tab using the Active Widgets dropdown menu. Your feedback is most welcome. Please let us know what you think about the changes. If you find anything that we can improve upon - please let us know. We are delighted to announce the launch of our brand new Rating-System Dashboard, built on a mobile friendly responsive platform to create the most up-to-date user experience. 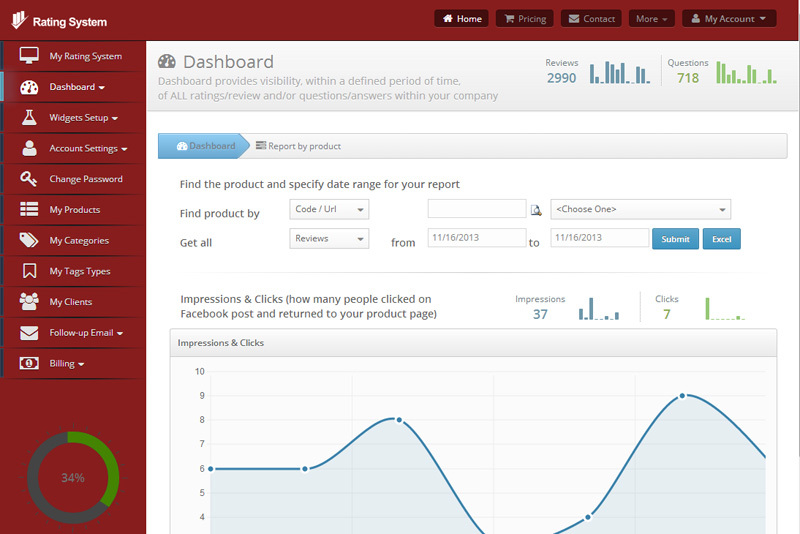 Our Dashboard helps you understand all aspects of your use of the platform. This new dashboard is adaptive and responsive to work across various browser sizes, mobile and tablets. We continue to focus on improving our user experience at every stage of the ratings and reviews process. It provides standard reporting and lets our customers drill in to any details of the data behind the reports.